Hello and Welcome to Our Lady of Grace Junior School's Science page. You'll find information about the different topics your child is studying, links to useful websites and examples of children's work. Our children usually take part in two hours of Science a week. This is a mixture of both practical and written work, predicting and testing and the writing up of experiments. Each class studies six different topics over the course of an academic year. Please click on the links below to find out more. Year 3 Science Topics This is a list of all year 3 Science topics, along with some useful activities. Year 4 Science Topics This is a list of all year 4 Science topics, along with some useful activities. Year 5 Science Topics This is a list of all year 5 Science Topics, along with some useful activities. Year 6 Science Topics This is a list of all year 5 Science topics, along with some useful activites. 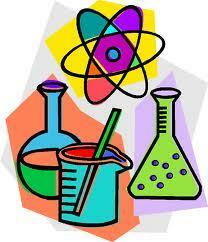 Science Activites Please click on this link to some some wonderful Science Activites. The activities are all labelled by year group. Science Activites Please click to find even more great online activites.